It seems like I have been absent for an eternity. I have missed this. I have missed my creativity, my time in the kitchen, my inspiration, my failures and successes, but I think most of all, I have missed my readers and friends. This was not a scheduled absence; far from it. I was aggressively forced into this by my body. It decided that slowly and surely, it would take away all my mobility and leave me frustrated, angry and resentful in bed…for two whole weeks. I am not going to dwell on it any longer. It has taken too much of my precious time and thought for the past few weeks. I rather just tell you that I am feeling better and no longer tethered to the confines of my bed. I am moving slow but moving, and in time, will be back to my zippy self. It’s been hard to just sit (or in my case, lie) by the sidelines and watch as the arrival of spring heralds the opening of farmers markets and farm stands and the appearance of gorgeous local produce. The spring weather has also been enthralling, lighting up the Colorado skies with the most amazing thunder and lightning shows and spectacular arrays of clouds. The birds are overly chatty (waking me up every morning before the crack of dawn) and wildlife in general, is in full force. Bunnies are sun bathing and foxes are scurrying around hoping to catch the sunbathing bunnies. Few weeks ago, a shoulder (side of a road) was taped off, nearby to our house, because the trees had birds nesting there. They happened be owls and very soon, little owlets appeared. I so wanted to get out there and photograph them but since I couldn’t move, that opportunity passed. Being pretty much immobile meant no cooking and baking, and that was real torture, especially as I knew that the short season for certain vegetables was slipping away. I rested for a couple of days after receiving 2 shots from my doctor and then the first thing I did was go out for coffee! It felt so good to be out! The second thing I did was visit my farm stand. Apart from the mascarpone cheese and lemon, everything came from the farm. Super fresh produce and it’s fantastic. I am easing myself back into the kitchen and taking advantage of the local produce to make quick, easy meals. Here is one. These gorgeous tartines are not dinner in themselves but definitely a great side, snack or lunch. We had them alongside grilled steaks and sautéed broccoli rabe. A tartine is simply an open faced sandwich which usually has a lavish spread smeared on it and a variety of toppings. In my case, I really wanted to pickle some breakfast radishes that are so abundant right now. 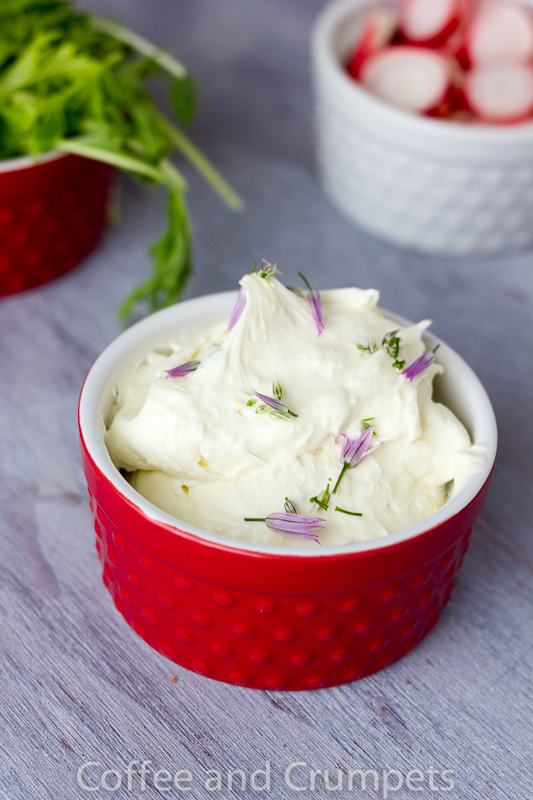 The lavish spread here ended up being a creamy lemon mascarpone, bright with the addition of lemon zest, chives and chive blossoms (only because they are so pretty) They were fabulous; light and filling at the same time. I picked a lovely, earthy, wholesome pumpkin levain as my base; wonderfully chewy and heavily studded with pumpkin seeds. The tartines were finished off with a handful of delicate mizuna greens; also from the farm. This is not a recipe as such but just a blueprint to an endless combination of spreads and toppings. Though, this one is excellent if I do say so myself. I am thinking roasted grapes, fresh heirloom tomatoes, avocado hummus, creamy goat cheese…….. 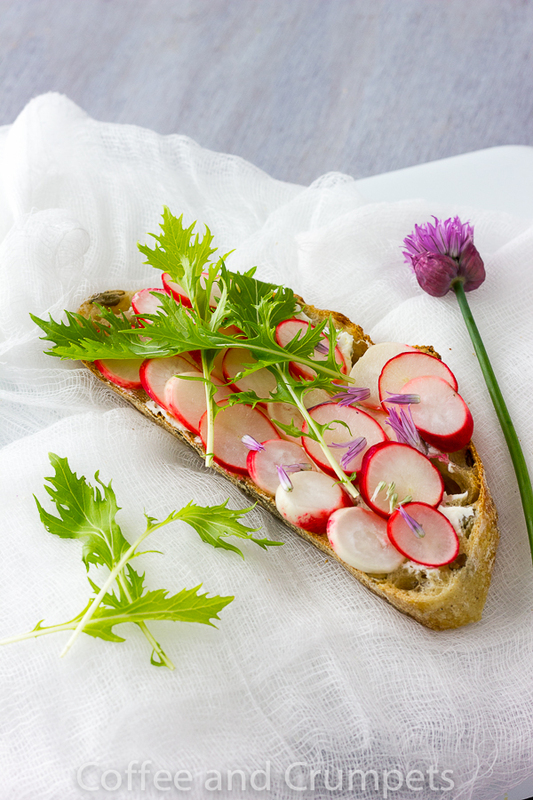 Delicious open faced sandwiches with creamy lemon mascarpone and pickled radish topping. Slice the radishes diagonally into thin slices. In a medium glass bowl, mix the vinegar, water, sugar and salt together. Start with the 6 tablespoons of sugar and if you'd like it a bit sweeter, add the extra 2. Drop in the sliced radishes and leave to pickle for about an hour. In a bowl, tip out the mascarpone cheese and mix to smoothen. Add the lemon zest, lemon juice and the chives. Some like more lemon zest and chives, start with 1 teaspoon and increase. I added about 1½ teaspoon of each since I don't like lemon zest to over power. To assemble, cut the bread at a diagonal and smear liberally with the lemon mascarpone spread. 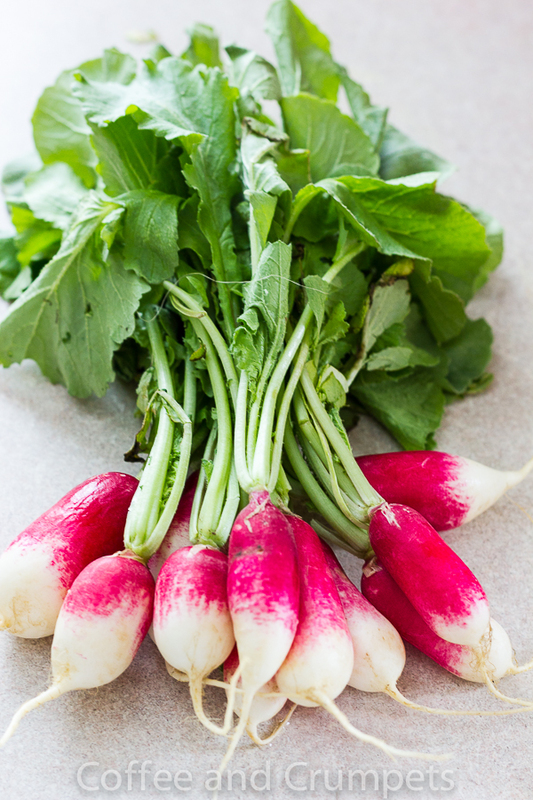 Arrange as many picked radishes as you want on top and add a healthy handful of greens on top. I used mizuna from the farm, a fresh, mild tasting green from Japan. It tastes very similar to arugala but with less bite. 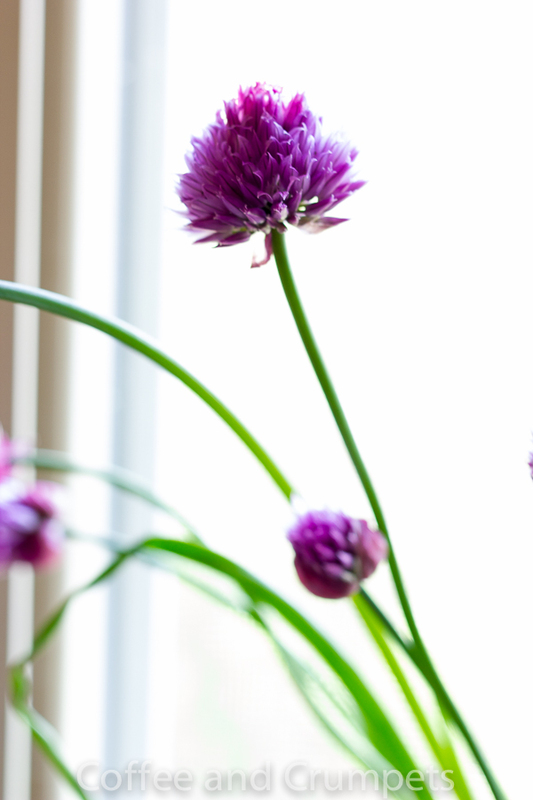 If using chive blossoms, scatter some over the top. It feels so good to be back. I have missed talking incessantly. Thank you to everyone who sent me virtual hugs and best wishes, I appreciate them more than you know. Wishing you all, happy eating! Goodness these look good – wonderful in their simplicity. I had no idea you were out of commission… shows how out of touch I’ve been. but I’m glad you’re feeling better now! I hope you did something good with the radish greens too… not just composted them… that’s some good eatin’ right there :D.
I’m glad you’re feeling better! 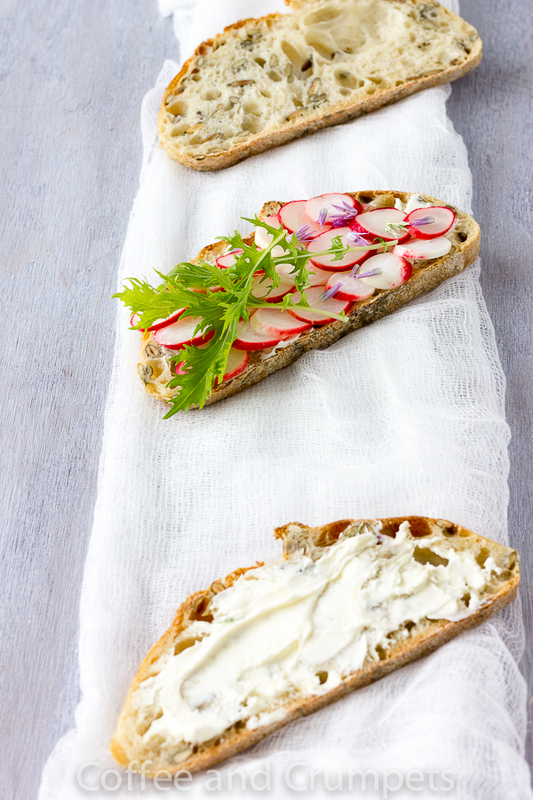 And let’s talk about these tartines… they sound amazing! I love pickled veggies, and that lemon mascarpone looks divine! YUM! I’m so sorry you’ve been in bed. And I agree, bad time to year not to be able to join in the festivities. Those birds that sing at the crack of dawn are Robins and they’re LOUD! … in a good way. 🙂 Your tartine is absolutely beautiful. The spirit of Spring didn’t pass you by at all. Pinned. So happy to hear that you are feeling better by now, Nazneen, welcome back , missed your beautiful posts a lot. This one is outstanding- great writing, gorgeous pics and beautiful colors that are transmitting a total ” Spring is in the air” feeling. So sorry to hear you were ill and it’s lovely to have you back. This looks absolutely delicious and your photos are just stunning! But I am glad you are posting again, feeling better and know you will get healed soon! Everything you do is beautiful-just like you! Love this recipe and glad you are feeling better! I assume this means the bday is happening? Well, I guess bdays have a way of happening whether you celebrate them or not! Now that you are up we must plan a play date! I’m so sorry to hear about your flare-up—what a drag! I think you’re right not to dwell on it. Enjoy the time when you feel well. Gorgeous photos as usual. But what’s more gorgeous is that you are back on the road to feeling better. I hope you have a better summer than the spring.. and that Isabella farm keeps you nourished. I am so glad you are back – more for you, than for me/us! I think we all would feel the same way you did. 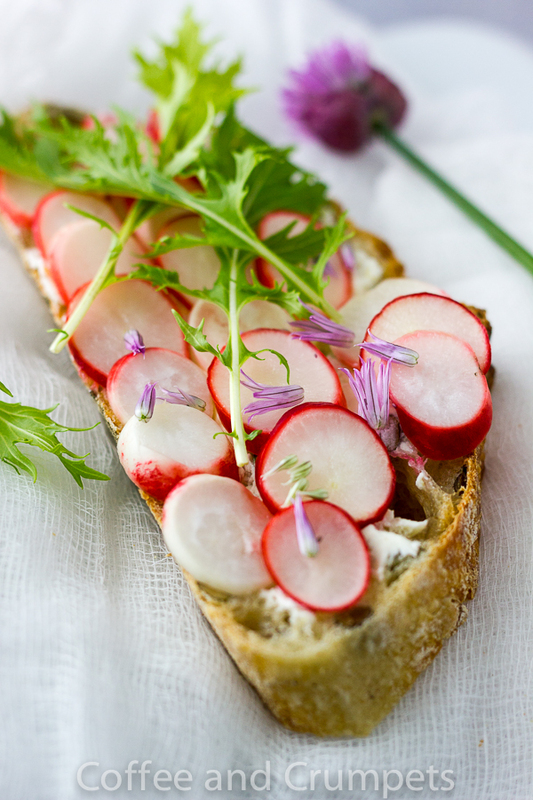 I love these tartines, and have some radishes I picked up over the weekend that I can pickle. Also have one last lemon on our tree, but I am afraid our mascarpone production will never happen. 🙂 Trader Joe here I come! Oh, also, here in the desert, our chive blossoms are long browned and sending out seeds… 🙁 Thanks for a beautiful post, dear friend, and welcome back! I’m so glad to see you back Nazneen, with such gorgeous photos and beautiful tartines! The chive flowers are beautiful, as are the colours you have collected in the one place, I can almost feel the Colorado sun through the computer screen. Once again glad to hear you are better and back blogging! Sorry to hear that you were sick my dear and I hope you will get better iA soon. Your sandwich is so colorful and the varieties are endless indeed. Lovely post Nazneen. Great to know that you are feeling better Nazneen. 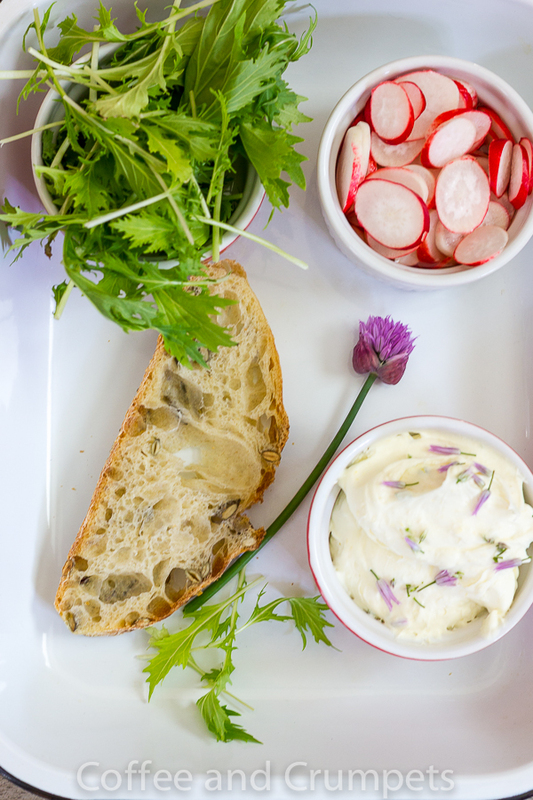 I love pickled radishes and of course lemon mascarpone…together, I’m sure they would taste amazing. They look so bright, refreshing, flavourful and spring-y…love them! I’m going to have to make them soon. I was wondering where have you been? Glad you are all well and back to routine. These tartines with mascarpoce spread sounds like a simple yet tasteful recipe. So sorry you have been bedridden for two weeks. It’s awful when one hurts bad! I hope you’re feeling better! This is a stunning recipe- especially with those lovely purple chive blossoms. So glad to see that you’re feeling better! When I first read the title of this post, I was thinking mini tarts (shows how much I know, huh? lol). These are gorgeous, and I love love loveee the flowers! Totally spring and totally gorgeous! Amazing photography! You captured them really well. Thanks for sharing! Welcome back! So sorry you’ve been unwell, but hope you are on the road to recovery. This tartine certainly is great medicine for the body and soul — what wonderful flavors! We had something similar at a restaurant recently where they roasted the radishes. I want to try that, and now yours! Good stuff — thanks. Wow, two weeks? That’s awful :(. I’m sending you get well kisses from London. That tartine sounds wonderful. I love the idea of that lemon mascarpone. I do something very similar: ricotta on english muffins topped with lemon oil and sea salt. Its a favourite of mine. Simple but so good. Wow!! The spread is fantastic, bookmarking. its good to know that you are feeling better..praying for your quick recovery. i love me good tartines and with mascarpone, its delicious. Good to see you back and sharing your beautiful spring photographs and ideas with us. I have been meaning to make mascarpone for weeks, but now I have read this post, I really must get on to it. I am so sorry to hear that you are immobile, Nazneen! I wish I would not live so far to help you with something. I’ll be praying that you can return to your daily routine soon. I know how it is when one cannot do much. I have been recovering from a surgery that I underwent last Thursday. Although I can do some stuff there are several restrictions. I am looking forward to being completely healed. Well, you are so creative! Look how gorgeous these tartines are… and very delicious! Something that one can have as a healthy breakfast or to serve at a getting together. I cannot look enough to these breathtaking photos! Wishing you the very best always! Take care, my friend! Well you had definitely made up for lost time with this beautiful post. I am so sorry that you have been down for the past couple of weeks. I hope you are feeling much better now and your confinement is behind you for good. Beautiful photos Nazneen. Your tartines look amazing. Yay! You are back! These pictures are just gorgeous, Nazneen. You have absolutely captured the essence of spring (even though short and fleeting here.) I have a single chive blossoming in my garden this year; I planted the seeds maybe two years back and nothing happened, but maybe thanks to the right precipitation this spring, I’ve got one! I already have some pickled radish from your Ban Mi Ga I made last week, so I’ll just go pick up some marscapone. Have you at least been able to look out and see how stunning the green mountains are right now? I hope you get feeling better soon. Love you! We missed you, Nazneen. It’s nice to know you feel better. Amazing photos as always! 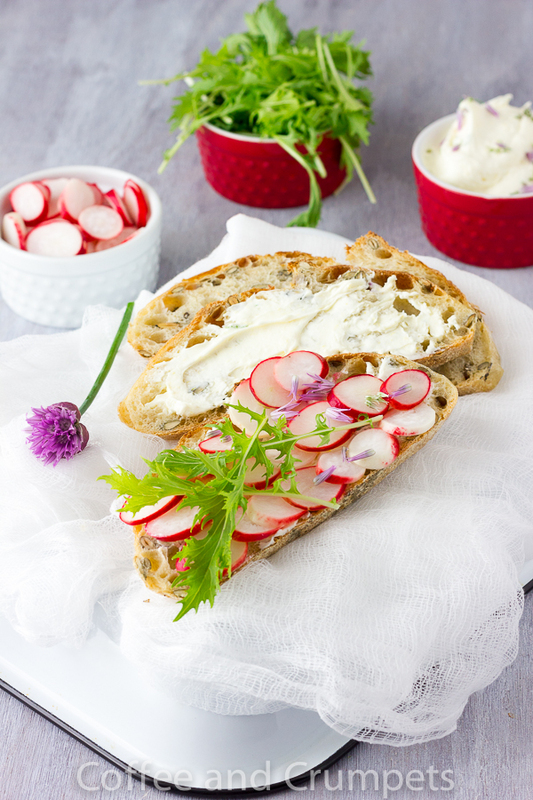 Yum – “Pumpkin levain” sounds amazing paired with your lemon mascarpone spread and these pickled radishes – I can just imagine the mixture of tastes and textures – wow! And roasted grapes with avocado hummus ooh so yum – Nazneen, that’s just another BRILLIANT combo! Shashi @ RunninSrilankan recently posted..5 Ingredient Breakfast Bars!